VNTC PVC Jacketed Tray cables are some of the most widely used, and versatile cables available today. These cables have the popular THHN stranded inner conductors. They can be used in Cable Tray, Conduit, and they are approved for Direct Burial as well. 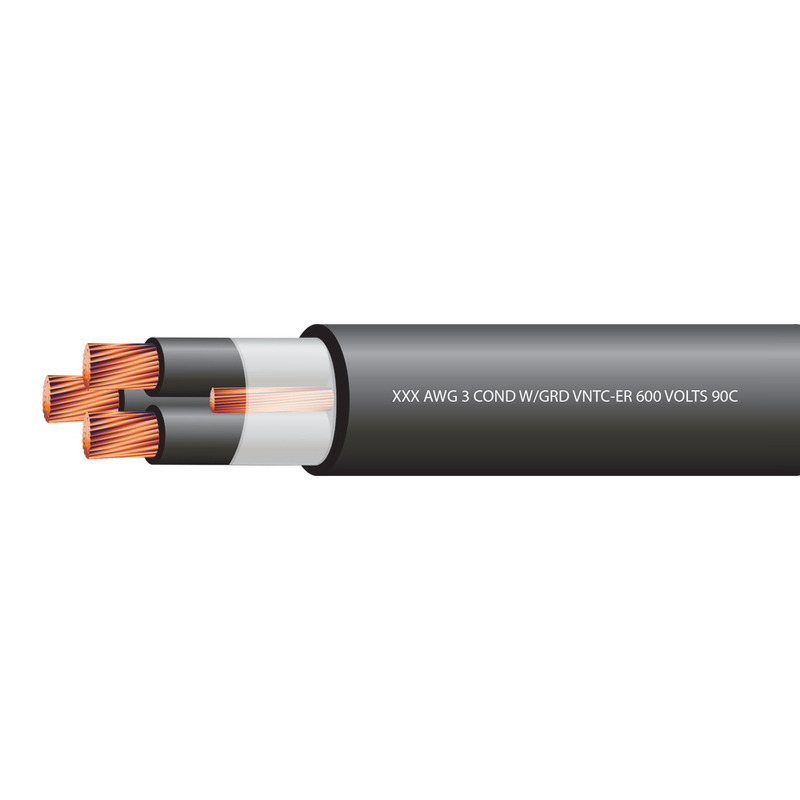 Our cables are (UL) approved, rated 600 Volts 90C. They are all Copper conductors, and come with a bare copper Ground Wire.